OXA - AM 100 is an algicide, in liquid form, particularly designed for use in ponds, lagoons and small irrigation pools. The algae are capable of producing organic matter from inorganic materials. Pollute water systems reduce the amount of dissolved oxygen contributing to a more rapid degradation of water. 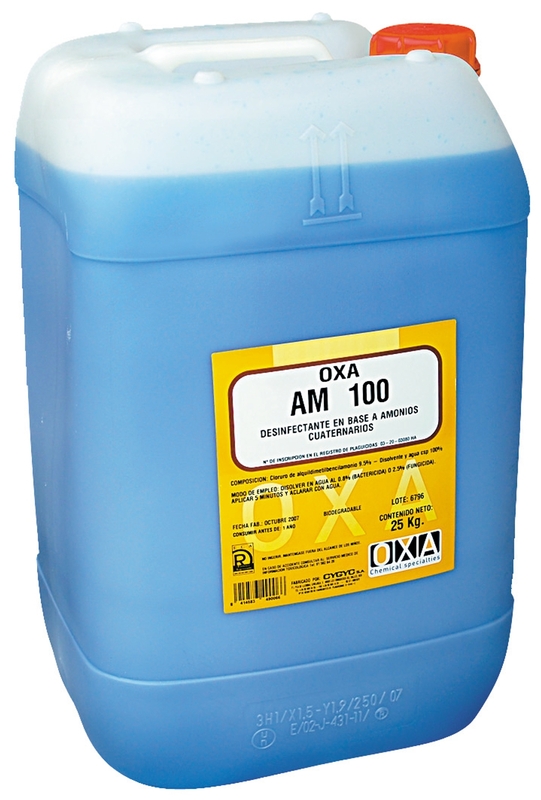 OXA - AM 100 prevents clogging of filters, reducing odor problems and murky waters that are developed especially during periods of high temperatures. High performance degreaser for surfaces.